Every self-respecting pond owner strives to achieve clear water and healthy livestock. 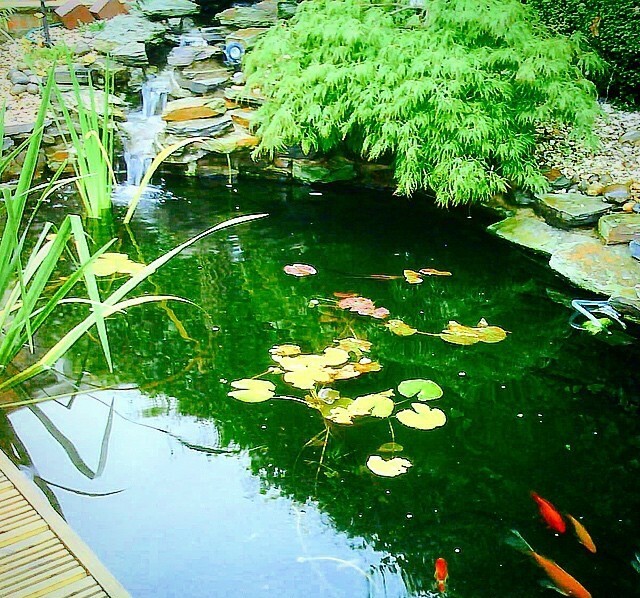 At Perfect Ponds and Landscapes we pride ourselves in assisting our customers to gain and maintain that crystal clear water. With regular maintenance and a little bit of care and attention to detail this is an easily achievable goal. We are always on hand to give you advice or guide you in the right direction. The principal culprit is nitrate, a nutrient which forms naturally as left-over fish food, fish faeces and dead plant material decays. Nitrate test kits are widely available and very simple to use, but often simply clearing out fallen leaves, cutting and discarding dead water-plant foliage and avoiding over-feeding your fish can make a big difference. Perfect ponds and Landscapes have been dealing with these problems for many years and can assist with your aquatic plant management and algae and blanket weed control.